An initiative to address this problem, the Genesee Urban Agriculture Seasonal High Tunnel Initiative, will offer cost share dollars for seasonal high tunnel (hoop house) construction in Flint and the surrounding areas. The United States Department of Agriculture-Natural Resources Conservation Service is partnering with the Genesee Conservation District, a local entity of state government working with Genesee County residents to conserve natural resources in our community, for implementation locally. Contact Genesee Conservation District at (810) 230-8766 ext. 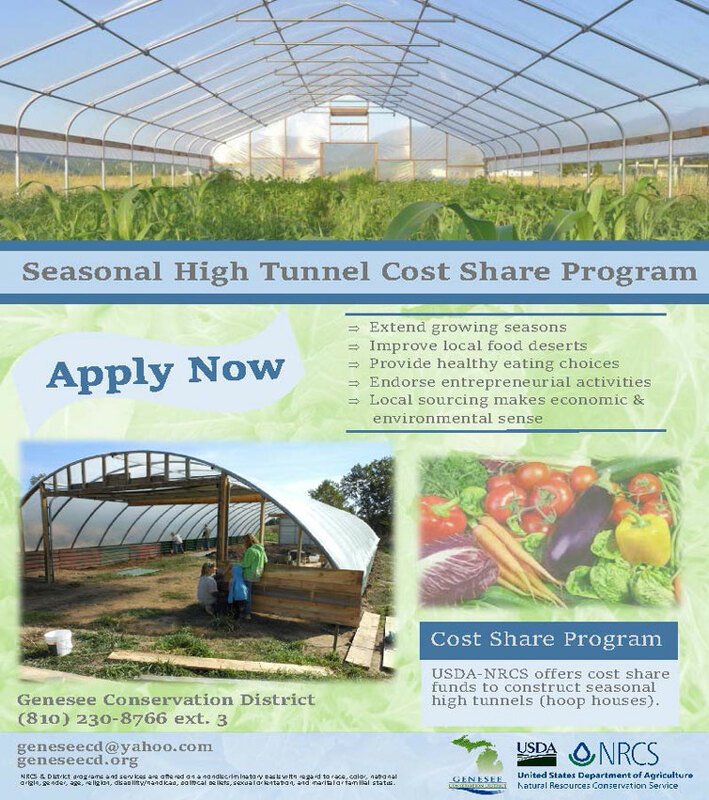 3 or geneseecd.org to learn more about this opportunity, to apply for or inquire about cost-share funding, or if you have a seasonal high tunnel and would like technical assistance to enhance production.